In ICE you are Nanook, a Polar Bear cub that needs to survive in the harsh Arctic environment. It is your responsibility to save him, since life as a polar has become even more challenging due the ongoing climate changes. Nanook must flee to survive – but to keep on moving, he needs energy. The faster Nanook moves, the more energy he uses. 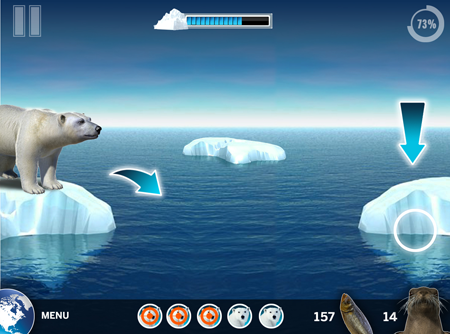 Seals and fish can be caught, and Nanook may find leftovers from the hunters – but the player must preserve Nanook’s energy as best possible. 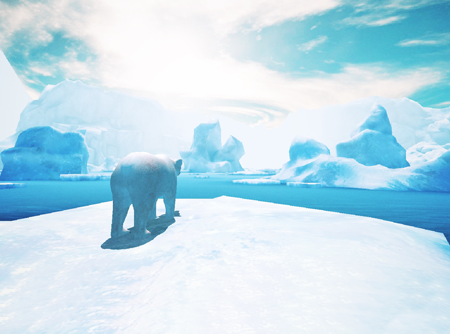 The player will learn to read the landscape for signs of food or perish – because when Nanook runs out of energy he will die. The game was awarded with the Nordic Game Development Support and is currently in the early development phase.